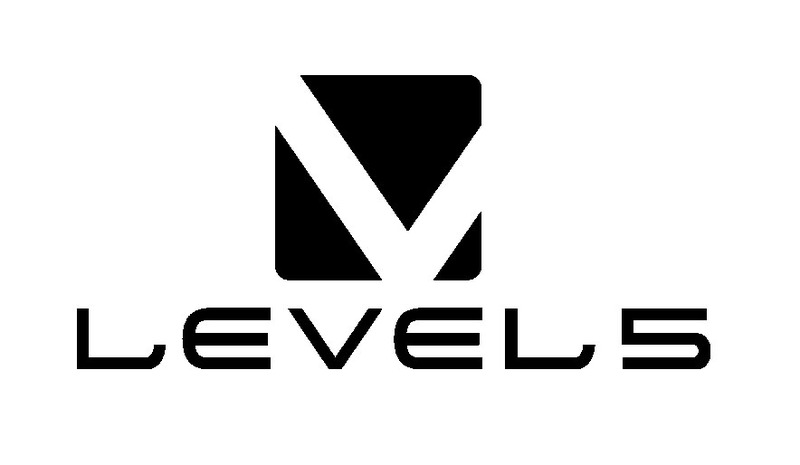 One of the video game companies I've been exploring recently is Japanese Developer, Level-5. Level-5 are a company that have created some pretty prominent video games in the industry, such as the popular JRPG 'Ni No Kuni: Wrath of the White Witch' and the puzzle series, 'Professor Layton'. Rather than bring up separate topics for these games, I assumed it might be a better idea to create a topic of discussion for the publisher, and to hopefully draw in areas of discussion for the video games they have created. In order to start the ball rolling, I'll discuss three of the games I have recently been playing through, starting with one of their prominent game that I used to play when it first game out - Dark Cloud. This was the company's first video game venture, as far as I'm aware. The game utilised an active battling system with RPG elements, focusing on leveling up your weapons, instead of the characters. Through this, they also implemented a durability system for said weapons, making it possible to break them if not repaired frequently. As you can imagine, this was tedious af, but the games were still pretty fun. The game also acted as a sort of city builder game, where the player would collect buildings and people from orbs in a chest in order to place them in cities they belong. I also recently picked up the sequel to the game, Dark Chronicle, or 'Dark Cloud 2' as it was referred to in the United States. The story appears unrelated, but still builds upon a similar weapon leveling system. However, you don't risk breaking the weapons entirely to the point you lose them, merely having to forgo using them until after you have them repaired. The game is pretty fun, but I find a lot of the challenge in the game is lost when you suddenly get a robot that can do a lot of your fighting. It can be limited, but I try and use the other characters when I can. Unfortunately, a lot of situations involve fighting enemies that the robot is supposed to, so that kind of just ups the challenge significantly when trying to avoid using it. Finally, the other game I was going to talk about is Rogue Galaxy, an RPG that uses a similar battle system to the Dark Cloud games, although removes the durability of weapons and focus on simply levelling them, rather than the player characters. Instead, the game allows characters to level up. However, the method of learning character abilities does not fall under the usual RPG standard of "level up enough and you'll learn a new ability". Instead, the game utilises a system known as the 'Revelation Flow' - similar to how the License Board from Final Fantasy XII appeared. However, in order to unlock skills, characters need to use items they found on their exploration, such as fruit or accessories. Each character has their own Revelation Flow, and as a result, abilities. These abilities remind me of how Quickening abilities worked in Final Fantasy XII - where a cutscene will appear and a high damaging ability may occur. However, there are other effects, such as healing your team of status effects or raising their attack/defence power. I'm still in the process of playing the game, but so far, it's been highly enjoyable. All three of these games are actually available on Playstation 4 right now, as part of the system's library of emulated Playstation 2 games. I believe the games have been known to go on sale for events - it may be worth checking it out if you're interested in the game or even the genre. However, these are only a small number of the games created by the company. If you're interested to see if you recognise any of their titles, then you can find their list of games here. I haven`t sadly played Dark Cloud yet. I remembering playing the demo when I was little and a cutscene with the Genie scared me so much that I actually saw nightmares of it. xD I might check this out one day thou, since it`s now available for the PS4. The music in this game is fantastic! Traveling between past and future was fun and to make changes you had to build stuff on the current area. That was fun but for a kid with limited English skills, pretty hard at times. I have been thinking a lot of buying this game for PS4 to go trough it again since my skills have improved very much, but some of the dungeons and levels were a bit boring. Yeah, Max`s robot makes things a bit easy. Especially once you get one of the later game super weapons for it. Rogue Galaxy sounds interesting. I have to keep that in the back of my mind and try it out one day. My copy of Dark Cloud 1 vanished a few years ago, and I've given up on finding it. Still have my copy of 2, though. Looking forward to Lady Layton. I recently picked up my old copy of Ni No Kuni. I don't think I particularly got far in the game when I last played. I like how I can take people's hearts. Makes me think Ollie-Boy is in the Phantom Thieves, having played Persona 5. Daaamn! I need to give those PS2 RPGs a try! I've been meaning to, seeing as how they're available as remastered on PSN. I'll be giving them more of a try now that I know Level-5 made 'em! Every Level 5 game I have played has, on the one hand, been phenomenal. On the other hand, I've never finished any of them, something I really regret. I picked Dark Cloud and Rogue Galaxy back up on PS4, as I'll be more likely to finish them on there. I grabbed Dragon Quest 8 for 3ds and my god I like it better than the PS2 version (not a fan of random battles the way I used to be). And I'm so close to the end of Ni no Kuni it isn't even funny, I need to just pick it up and finish it already. I've also got the first Professor Layton game on my shelf waiting for me, I just haven't started it yet. I have played Dark Cloud (currently at the shipwreck). I like the game (kinda), but it's so incredibly tedious. There's no story to be found, but still I want to finish it. Dark Chronicle after that. Looking forward to it .. I guess? Ni no Kuni was no revolution of the genre in any kind, but still adorable and enjoyable. I'm really looking forward to party 2, even preordered the super expensive King's edition. What else? I finished Dragon Quest 8 twice and now I'm replaying it on 3Ds. Though I still like it a lot and love the new features, I only play it every few months (then excessively until I drop it again for months). I don't know why that is. I also own a copy of White Knight Chronicles, but never played it (yet). I liked the way Professor Layton was made, but I'm really not into puzzle games. Maybe I'll look into the crossover with Phoenix Wright, that might be fun.